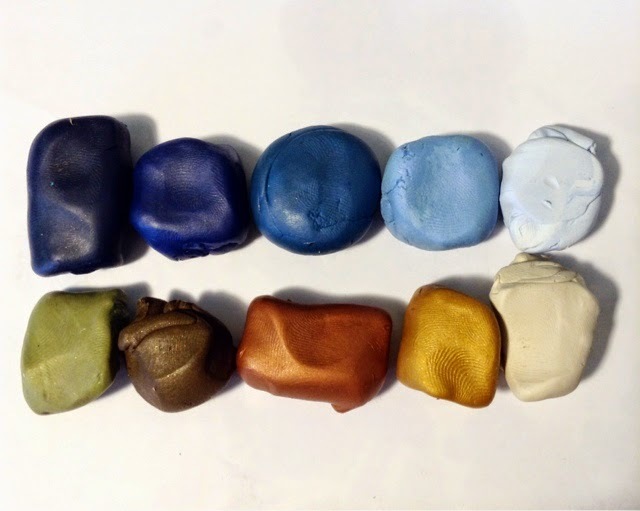 I love using Brandi's color palettes for inspiration and in fact mixing colors is one of my favorite parts about beadmaking. 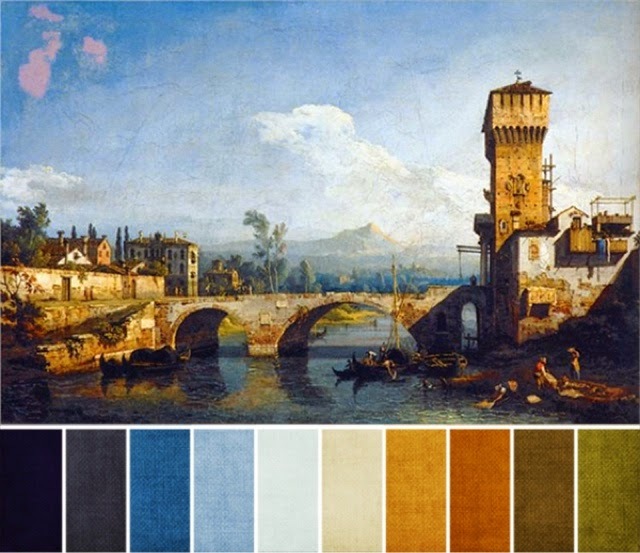 Here are the beads I made using the color palette. I kept them simple with stripe and leaf canes to tie into my upcoming workshop. You can find these in my Etsy shop. 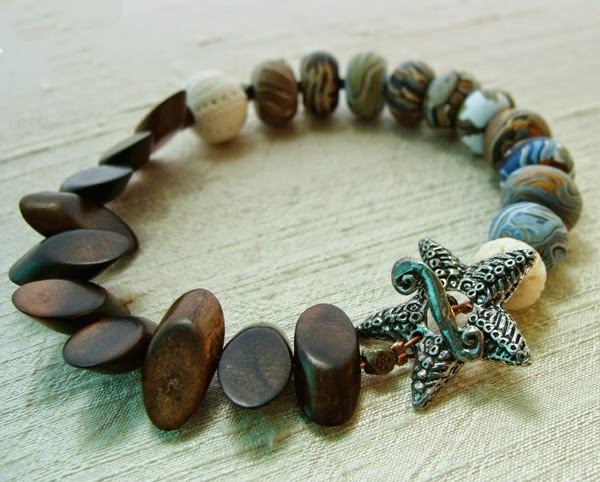 I whipped up a set of these beads into a fun bracelet yesterday with a ceramic sea urchin from Blueberri Beads, a lampwork spacers from Genea, starfish clasp from Green Girl Studio and wood beads from Rings & Things. 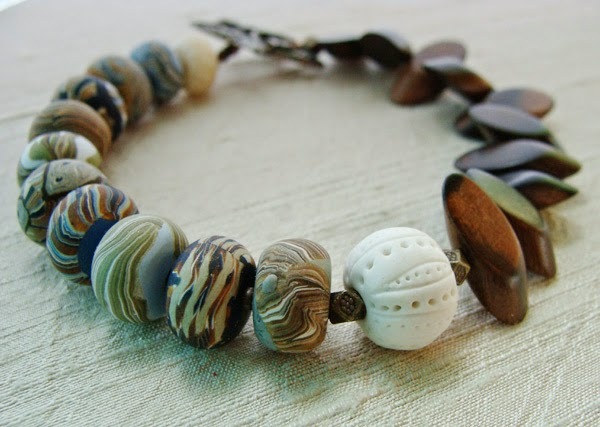 This bracelet is a serious multi-tasker, not only does it tie into the Art Bead Scene's May Challenge, it also happens to be my Jewelry Making Mojo piece, which is all about creating jewelry from a color palette this week! 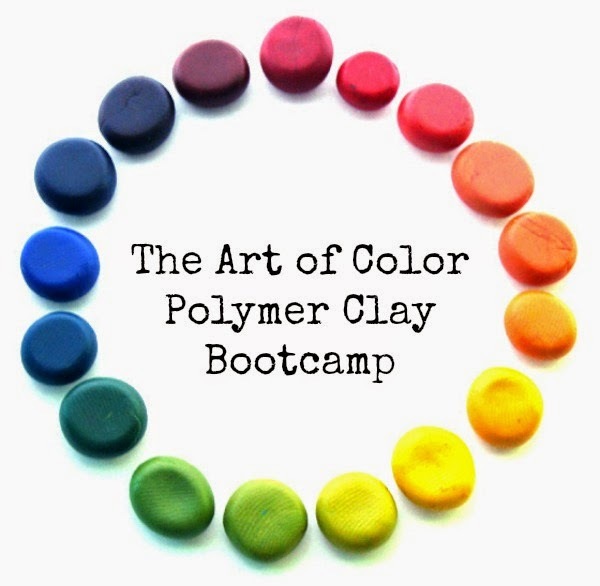 I cover the stripe and leaf canes in our first week of the Art of Color Polymer Clay Bootcamp. I'm going to show you how using a simple cane can open up a world of possibilities. 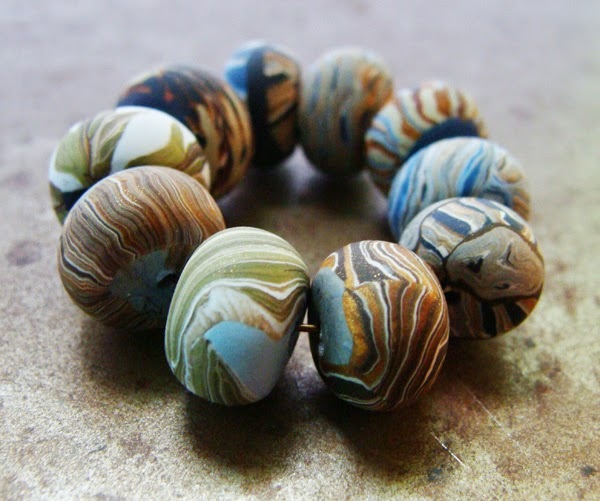 So yes, you could learn to make beads like these and so much more during my four week class. It's a self-paced course, your assignments arrive every Monday but you can work on them at your own pace. On Thursday nights I will host an optional weekly chat in our private Facebook group to help you with any questions or troubleshooting from that week's assignments. Interacting in a classroom, seeing what others create, talking to the instructor - all of intangibles that make taking a class so invaluable are what I'd like to create for you in this weekly format. If you've always wanted to learn how to make beads, crack the code to using color confidently or pick up some of my baking tricks to achieve that earthy, organic feel - this class is for you! Early bird registration ends May 15th. Read all the details here.